Lastly, we recommend that our Client communicate with Healy Consultants regularly. The idea here is that our experts have previously helped Clients succeed in Argentina and we believe that our experience can help your firm. Body language is a very important part of etiquettes in Argentina. One must maintain eye contact, keep hands relaxed and avoid nervousness in order to make a good impression on others. Argentina is an interesting destination for paleontologists and archaeologists because the oldest known dinosaur fossils and skeletons were found in Argentina. Am I required to visit Argentina to incorporate a company there? No. Healy Consultants can legally incorporate your Argentinean company without you needing to travel. What is the minimum number of directors required for an Argentinean company? Under statutory regulations, an Argentinean company requires a minimum of one director. An Argentinean company requires a resident director. What is the minimum number of shareholders required for an Argentinean company? A minimum of two shareholders is required. What are the minimum capital requirements for an Argentinean company? An Argentinean stock company requires a minimum share capital requirement of US$7,500. Is an Argentinean company required to submit an annual tax return and/or financial statements? An Argentinean company is obliged to submit an annual tax return and/or financial statements. However, they do not have to be audited. 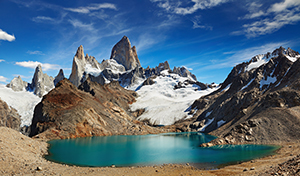 What are the tax implications of an Argentina company formation? An Argentina company is liable to pay a corporation tax of 35% on profits. Argentina also has a standard IVA (VAT) rate of 21% on most goods and services. Furthermore, non-residents are charged a withholding tax of 21% on any earnings in Argentina. Does an Argentinean company benefit from double taxation treaties? Argentina has a limited number of double taxation treaties. The countries are Australia, Chile, Canada, Denmark, and Germany.